New York NY November 10, 2015 -– HIFIMAN, a leading designer/manufacturer of high performance headphones and portable audio products, announced that its HE1000 was named a CES 2016 Innovations Awards Honoree. 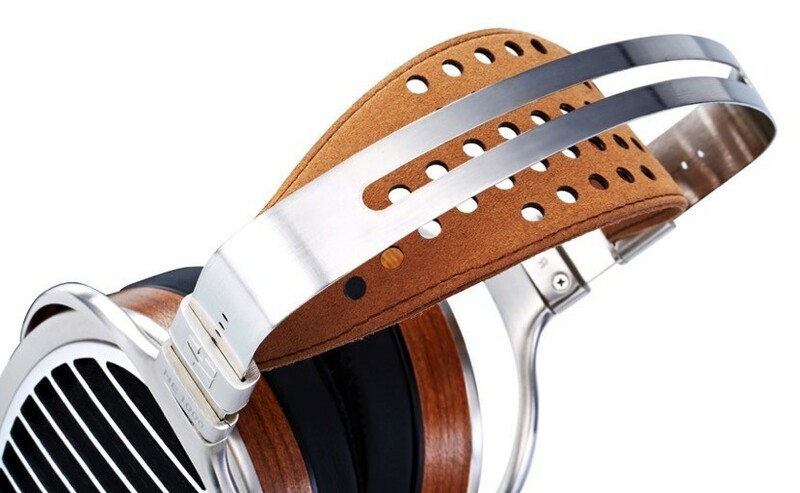 New York NY November 10, 2015 -– HIFIMAN, a leading designer/manufacturer of high performance headphones and portable audio products, announced that its HE1000 was named a CES 2016 Innovations Awards Honoree. A preeminent panel of independent industrial designers and engineers as well as prominent members of the trade media judge products entered into this competitive program. The Innovations award honors outstanding design and engineering in cutting-edge consumer electronics products across 29 product categories. HE1000 is a groundbreaking full-size planar magnetic headphone, intended for reference use in the home or studio. Assuming the position as the company’s flagship model, HE1000 combines several new innovations that raise the bar for absolute performance, style and comfort. The new HIFIMAN model is now available with a MSRP of $2999. HIFIMAN is the only headphone brand to fully utilize Nanotechnology as HE1000 features the world’s first Nanometer grade thickness diaphragm, which means that it is less than an astonishing 0.001 mm thin. Seven years in the making, this breakthrough diaphragm is so thin that when viewed from the side, it is not visible to the naked eye. The incredibly low driver mass produces fast, effortless response with negligible distortion, two key elements to the ultimate goal of natural sound reproduction. To take advantage of the Nano-Grade driver, HIFIMAN engineers designed an Advanced Asymmetrical Magnetic Circuit. A painstaking process, it took the HIFIMAN team seven years to obtain the optimum balance between high driver efficiency and high sound quality. The innovative design of the double-sided, asymmetrical magnetic circuit is the perfect marriage of the Nanometer Grade Diaphragm and its Magnetic partner. HIFIMAN needed to create a special design solution that provides driver protection, is optimized for an open-back design and that also yields the best possible sound quality. 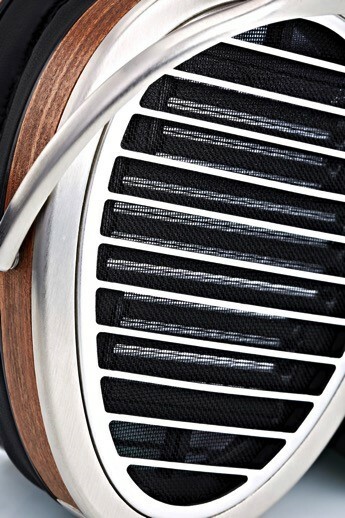 For HE1000, a patented “Window Shade” grill made with premium alloys is the solution, precisely structured to gain greater openness in the headphone design. Its openness keeps the sound waves from second refraction to avoid unwanted vibration and distortion. The result is a wider soundstage, outstanding imaging and remarkable clarity. 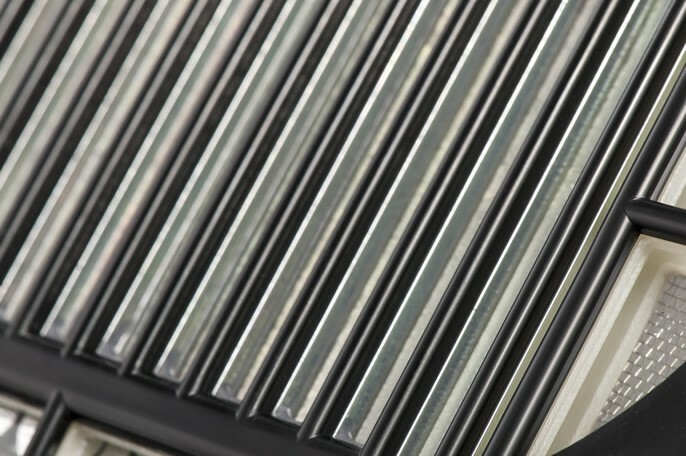 Aesthetically, as an added benefit, the Window Shade Grill also provides a unique, high-tech look to HE1000 and an appropriate complement to its premium alloys and wood trim. The ear cup of HE1000 has been specially designed in an asymmetrical shape that follows the form of human ears. 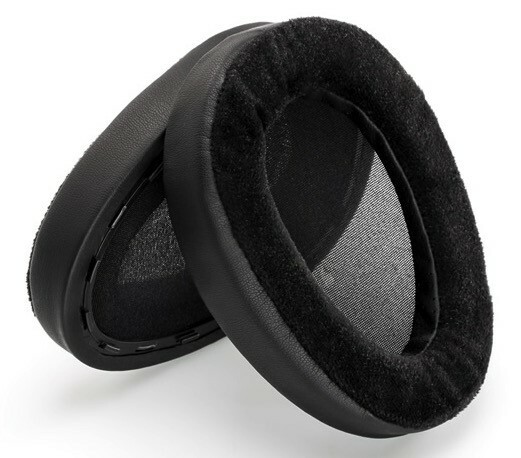 The ear pads are beveled so that they contour to the shape of the user’s head for superb comfort and extended listening as well as a good acoustic seal. The hybrid design has velour on the surface for optimal comfort and sound. The HE1000 headband is the result of clever industrial design. Entirely new thinking was needed that would accommodate the widely varied sizes of people’s heads while applying or distributing correct pressure evenly. This provides not only improved comfort but also a better seal of the pads around the ears and on the head for improved bass. The headband combines a special metal alloy with fine calf’s skin to form a sturdy arch structure. The perforation on the calf’s skin helps to dissipate the heat. For additional comfort, the light mass also contributes to lessen the overall weight of the headphone. HIFIMAN only uses the finest cables for their headphones and each model features a cable specially designed for it. HE1000 is supplied with a high purity, crystalline copper with silver plated wire custom designed for wide frequency range, low signal loss and enhanced emphasis on the low end for quality audio reproduction. The HE1000 package includes three different types of plugs: mini 6.35mm, ¼” 3.5mm and 4-pin XLR connector so it can be used with a wide array of equipment. The plugs are easy to switch and quickly connected to different cables and amplifiers. The prestigious CES Innovation Awards are sponsored by the Consumer Electronics Association (CEA)®, the producer of the International CES, the global gathering place for all who thrive on the business of consumer technology, and have been recognizing achievements in product design and engineering since 1976. 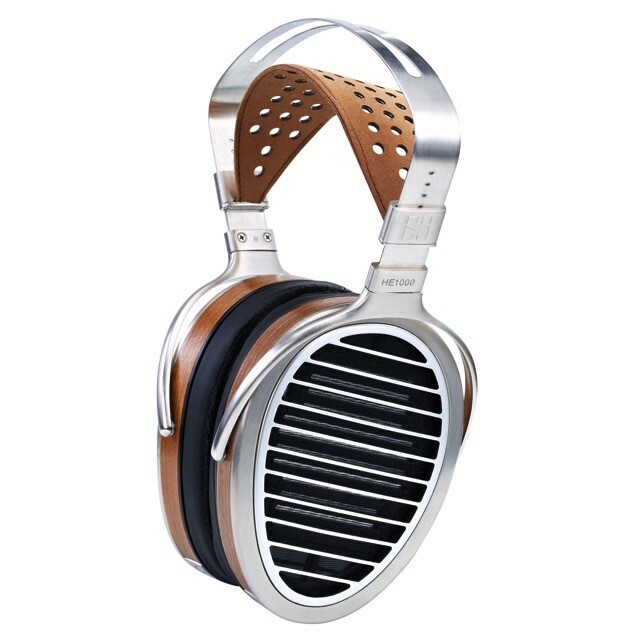 The HIFIMAN HE1000 will be showcased in the Innovations display at the Sands Expo at the 2016 International CES, which runs January 6-9, 2016, in Las Vegas, Nevada. At CES, HIFIMAN will be exhibiting in the LVCC South Hall in # 21815 as well as the Venetian Hotel in Suite # 30-229. The HE1000 will be readily available to audition in both locations. Founded by Dr. Fang Bian in 2007, HIFIMAN is widely regarded as one of the leading manufacturers of high performance headphones and portable audio products in the world. HIFIMAN is especially known for its critically acclaimed Planar-Magnetic headphones that feature state-of-the-art driver technology. The company also designs and manufactures best-in-class dynamic in-ear phones that have also garnered awards and rave reviews. HIFIMAN also owns and operates store.hifiman, an online webstore featuring the finest headphones and portable audio players available today, including HIFIMAN products.